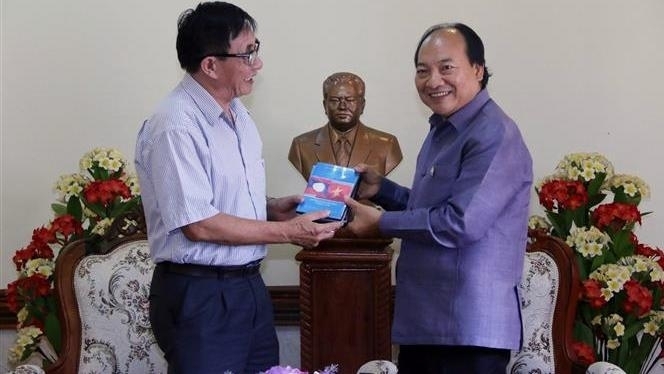 The Vietnam Cinema Association held a ceremony to hand over a documentary on President Souphanouvong’s relations with Vietnam to the Kaysone Phonvihane Museum in Vientiane on July 12. It was part of activities to commemorate the 109th birthday of the Lao President (July 13, 1909-2018) and deepen the special relations between Vietnam and Laos. 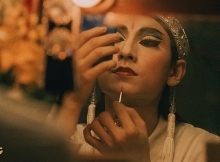 The 60 minute-long film was shot in April 2017 as the two nations were celebrating the 55th founding anniversary of diplomatic ties and the 40th years of the signing of the Vietnam-Laos Treaty of Amity and Cooperation. Two parts of the film tell the life stories of President Souphanouvong when he studied in Vietnam and then worked as chief architect of the civil engineering department of An Nam Trung Ky (central Vietnam) in Nha Trang, along with the historic meeting of Prince Souphanouvong with President Ho Chi Minh in September 1945 and his escape from Phonkheng prison of Vientiane capital city in July 1959. The documentary illustrates the relations of the Lao President with Vietnam, his contributions to the countries’ revolutions and the Vietnam-Laos friendship. Speaking at the ceremony, acting head of the Khaysone Phomvihane Museum Singthong Singhapanya said the film will help Lao people, especially the youths, understand more about the special friendship of the nations. It was aired by the Lao National Television on the birthday of the Lao President, he added.